The original Grasshopper needs little introduction. It was a Tamiya legend which inspired legions of fans since the 1980s. For many, it was their very first introduction into the world of radio control assembly kits. 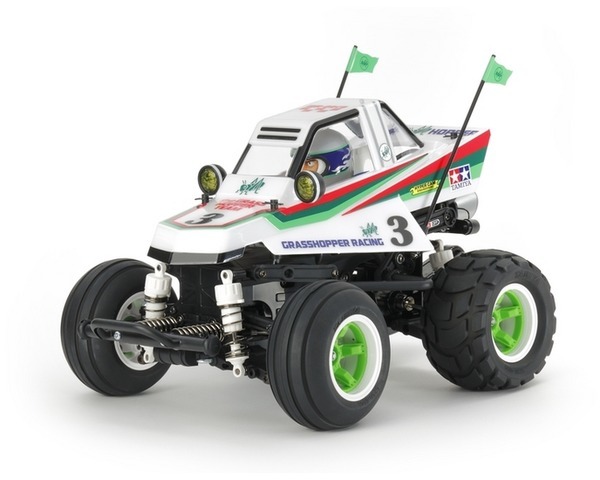 The original Grasshopper is still among Tamiyas best-selling kits to this day. Now the legend is re-imagined as the Comical Grasshopper, with a new body inspired by the famous original. The re-imagined body sits on a new and dedicated variant of the proven off-road chassis: the WR-02CB.